A signature feature of the London program is the wide range of field trips open to all students. Experienced staff will help you make the most of your time abroad by taking you beneath and beyond the “usual” tour experience to discover the real England and Europe. Castles, countrysides, the historical, and the contemporary are all part of the rich panoply of trips on offer. All-school trips outside of London are offered for an additional fee, and free walking tours within the city are offered every Friday. The Syracuse London center site  lists the most up-to-date information on all-school trips offered each semester. Begin the day with a guided tour of this culturally rich and vibrant area, which still echoes the 19th Century when it was the established Jewish quarter and Jack the Ripper prowled its alleys. The East End has always changed with the times. As new shops, boho bars and hipster art galleries spring up, it’s edgier than ever! Irish, Jewish, Maltese, Somali, Pakistani, and Bangladeshi communities have all influenced these kitsch markets. Bring your appetites, your enthusiasm and your cameras. You may have heard of a little British book series called Harry Potter? Well of course you have – and many sights & elements from the book can be seen in person right here in London! We’ve hired a guide who is known as one of the best in his field and he brings the city to life in this tour of all the Harry Potter film locations in good old London town! You’ll scope out film locations where Hagrid and Harry make their way to Diagon Alley. You’ll see where Harry, Mad-Eye Moody, Nymphadora Tonks and their friends fly in The Order of the Phoenix. You’ll see the locations used for the Leaky Cauldron and the Third Hand Book Emporium. There is a London that is seen but not seen… just below the surface of the glitz and the glamour of the bustling streets, a whole community lives in the shadows. Surviving as a homeless person in London takes intelligence, determination, and a strong will to survive. Join us for this tour of Covent Garden organized by the Sock Mob crew for a unique exploration of the area that combines the history of Covent Garden that is seen by tourists with the Covent Garden of today where people who find themselves on the margins of society live seen, yet not seen. Tour the beautiful botanical gardens at Kew, which were declared a UNESCO World Heritage site in 2003 – and rightly so, as you’ll see when you discover the weird and wonderful world of exotic flora and fauna that make it one of London’s top visitor attractions. Follow the trail of the evil Jack and his gruesome murders. The guide deftly recreates the London of the 1880s through which the Ripper prowled in search of his victims. Winston Churchill was recently voted the ‘greatest ever Briton.’ Although history tells us that he was not exactly top of the class in his school days, his legendary charisma and leadership got Britain through the World War II – earning him the enduring respect of Londoners along the way, particularly for his courage in refusing to leave the city during the Blitz. This walking tour expertly recaptures the mood of wartime London and brings to life arguably the greatest British Prime Minister of all time. Our tour includes a visit to the Churchill War Rooms, an underground bunker deep under Central London where Churchill and his staff changed the course of history. We’ll follow Blue Badge Guide Pepe Martinez through vibrant, edgy Shoreditch. You’ll be able to get up close and personal with the dynamic East London street art scene. Works by Banksy and Co. have helped herald the transformation of this area from a once seedy and deprived area into one of the most vibrant, fashionable, and ‘happening’ neighborhoods in London. The magnificent Windsor Castle has been occupied for 900 years, making it the largest and oldest occupied castle in the world! Our current Queen spent much of her childhood here. St George’s chapel at Windsor Castle is one of the finest examples of Gothic architecture in Britain, and is the final resting place for many of the great names in British monarchy. 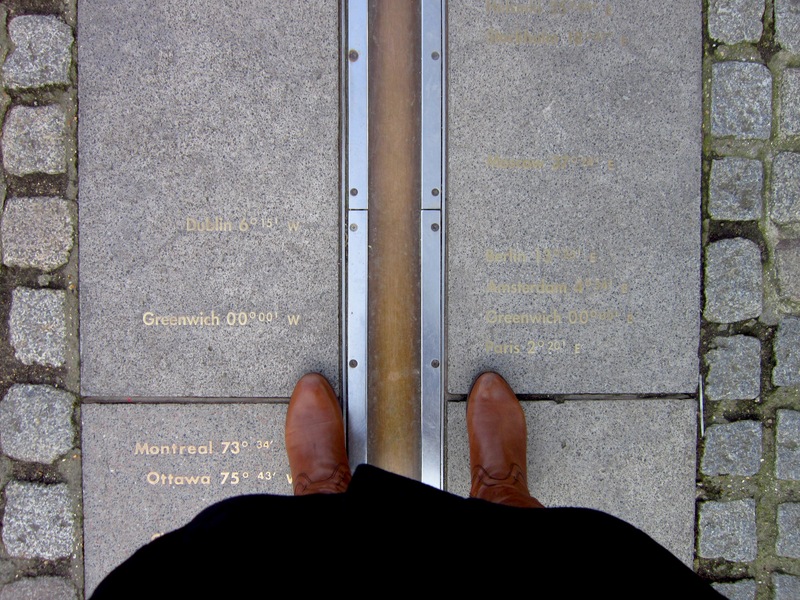 Greenwich is the home of Greenwich Mean Time (GMT) and the Prime Meridian. The entire world sets its clocks by GMT. At its heart is the outstanding architectural set-piece of the Royal Naval College, overlooking the Thames. Crowning the hill in Greenwich Park, behind the National Maritime Museum, is the Old Royal Observatory, built in 1675. Set on a dry dock is the majestic Cutty Sark, the world’s last surviving tea clipper. Be amazed at how beautiful the English coast can be. Leave London by coach on Friday morning and break the journey to the coast with a visit to the magnificent and mystical ‘Cerne Abbas’ giant. Folkore surrounds this ancient fertility symbol, and you’ll understand why when you see him. After lunch we visit the site of the Roman Maiden fort and before we check into our beach-side hotel we’ll take you to the delightful Lulworth Cove: you’ll think you’re on a Greek island. After checking into our hotel, we take off to a real lighthouse and then to the cliffs at Purbeck for a magical view over Dorset at sunset. The next day features a coastal hike along Weymouth followed by lunch right near the spectacular Corfe Castle, which we’ll explore after lunch. Then it’s off to the beach and the pristine Studland Nature Reserve before starting our return journey home with a ferry ride across to perfect Poole. Don’t forget your swimsuit! Stonehenge, Britain’s most famous ancient monument, is also one of the world’s most astonishing engineering feats. Many of the stones, some weighing four tons each, were brought over 100 miles from the Preseli mountains in Wales to Salisbury Plain. Salisbury is a preserved medieval city with a stunning cathedral whose spire is the tallest in Great Britain, rising a magnificent 404 feet above the rooftops. In the depths of its vaulted interior, Salisbury Cathedral hosts an original copy of the Magna Carta. Bath is the only town in England to have been awarded the distinction of World Heritage Site. Jane Austen wrote some of her novels here, and Gainsborough established himself as a portraitist and landscape painter. The city is known for its elegant Georgian crescents, and buildings and plaques highlight its eminent inhabitants from its heyday as a spa resort. The Roman Baths are the city’s most famous attraction, and this day trip includes a visit to them. You can taste the waters in the Pump room! Edgar, the first king of a united England, was crowned in Bath in 973. This is a fun-filled sea-side jaunt to the beach at Brighton: a joint trip with SU London’s Faraday Pride group. Brighton is a lively and popular seaside resort, known, actually, as London By The Sea! With its funfairs, twee little lanes full of old curiosity shops, cafes and nightclubs, it’s also huge on the gay scene. We’ll also stop by the Royal Pavilion, an impressively palatial structure echoing the Taj Mahal and 18th century Chinoiserie: no visit to Brighton is complete without a tour. Since the Middle Ages, thousands of pilgrims have made their way to Canterbury’s beautiful cathedral. Its story began in 597 C.E. and it is now a World Heritage site, made famous by the awful murder of Thomas A. Becket in 1170, as told in Chaucer’s Canterbury Tales. In the afternoon, you’ll be whisked away to Leeds Castle, which is built on a lake. We are told that ‘visitors never forget their first breathtaking vision of Leeds Castle in Kent, rising majestically from the moat as it has done for over 900 years.’ And no wonder! Leeds Castle has been many things, including a Norman stronghold, a palace used by Henry VIII and his first wife, an elegant early 20th century retreat for the influential and famous, including its most recent private owner, an Anglo-American heiress. It is now one of the most-visited historic buildings in Britain. This enthralling day out takes you back in time to marvel at the splendors of royal antiquity: if you only ever visit one royal palace, Hampton Court Palace should be THE one! Henry VIII ‘coaxed’ Hampton Court Palace from Cardinal Wolsey in 1514, and this a great opportunity for you to discover the newly-restored Tudor kitchens just as they were back in those days. You will also be able to see the Banqueting Hall, Great Hall, and the superb gardens, complete with 300-year-old maze. Cambridge is one of the most beautiful towns in England. Luscious lawns, amazing architecture, sophisticated shops and punting on the willow-tree shrouded River Cam. Lunch at the Eagle Pub – a haunt of the American airmen based there during World War II, many of whose signatures still adorn the ceiling. Your trip includes a visit to King’s: a college of Cambridge University, world-famous for its choir. King’s has achieved iconic stature, making it the focus of Cambridge’s historic tourist industry.